Join Ralph and Rich as they take you on a lake adventure sure to entertain and educate anyone interested in big water trapping. Prepare to get fully immersed in the trapline experience, away from the beaten path and crowds, where you can fully enjoy the beauty of nature and the excitement of trapping. 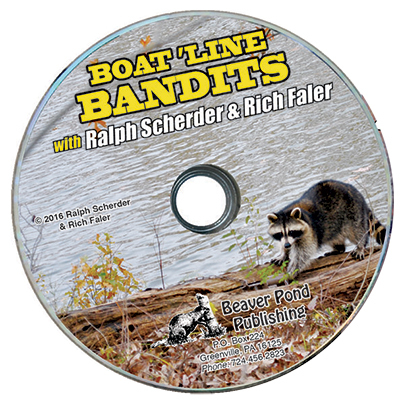 In this DVD you'll learn how to create a simple, yet very effective system for taking raccoons, how to scout and find locations before even launching your boat, and how to choose the best boat and motor for any situation.